Approx 3.5cm diameter, 8mm thick. This is a brooch that I made for a professor at UMass Dartmouth, Susan Hamlet. While pursuing my MFA degree, she was a constant source of creativity and technical know-how. She was definitely one of the most generous, skilled, and quirky teachers that I have ever had. 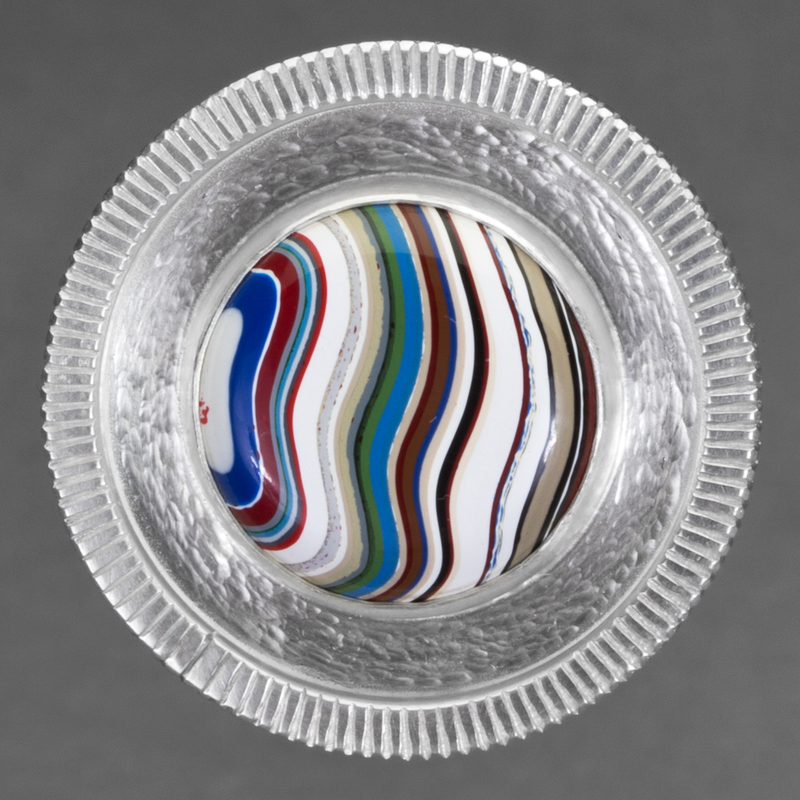 Referenced within the formal qualities of this brooch are a piece of the fordite, (cut from the chunk that she gave me for my thesis work) a surface texture, (which was something she always encouraged me to make use of more often) and a checkered edge created by the checking file she gave me.